If you are crazy and gaga over Britain’s fish and chips, then you probably have heard that every coastal town and city in the whole United Kingdom boasts that they have the best fish and chips recipe in the country. That said, there are only two places who are totally squared for the title. If you plan on having a fish and chips faceoff, you better pack your bags heavy because you are going to Blackpool and Newquay. And it might take a few days before you can actually finish your face-off so you better check out the list of Blackpool hotels and Newquay hotels. This is going to be a very long and engaging food trip. Blackpool is a seaside town nestled in Lancashire, England along the Irish Sea. Founded as a fishing village in the olden times, there is no wonder why this town claims that they have Britain’s Best Fish and Chips. And to start with the search, first on the list is the world renowned Cottage Restaurant. Founded in Blackpool, the Cottage dates its entry to the fish and chips fray all the way back to 1940. And through the years, the number of patrons who want nothing but fish and chips from the Cottage has steadily grown. Some people who sampled the Cottage Restaurant’s version of the fish and chips say that their way of cooking it has never changed, which makes their version an all-time favorite. Still in Blackpool, Seniors Fish Bar and Restaurant also scores high for the avid fish and chips lovers. 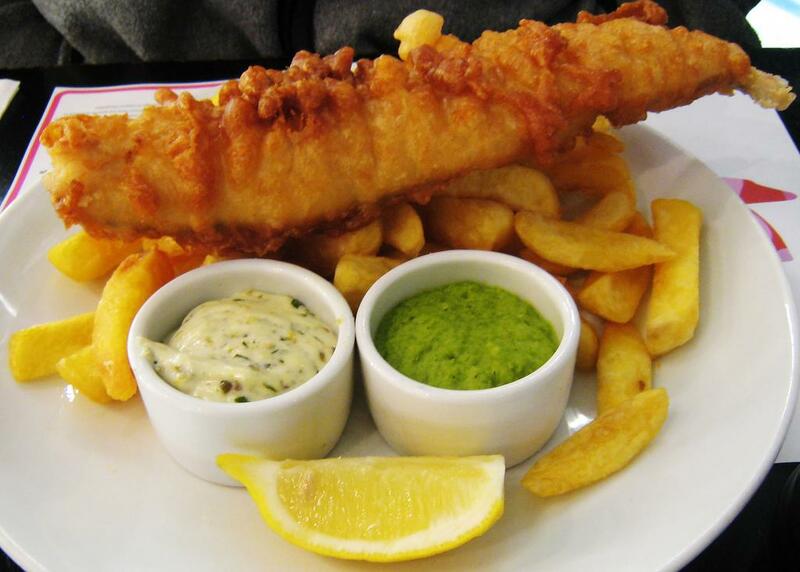 One patron commented that Seniors gives their customers all their money’s worth when it comes to fish and chips. The best part is that they ask you what fish you want along with your chips and their list does not end in cod but goes to include sturgeon, sea bass, and John Dory. In the seaside town of Newquay also comes forth the claim for Britain’s best fish and chips. Located in Cornwall, England, Newquay is also a fishing port, making it a strong contender for the title in question. Among the famed makers of fish and chips in this part of the UK is The Cod End. They have a long string of customers who never get tired of their fish and chips. But the one with the most hits when it comes to fish and chips in Newquay is The Flounders. Their fish and chips have been awarded several times by food organizations, which really makes a strong case for Newquay as the place where you can find the best fish and chips in the whole Britain. Have you been to either of these chip shops or do you know of even better fish and chips on Britain’s coast? Leave your comments below. Always first class service and quality. Good portion size and they spend a great deal of time sourcing quality products. If they won’t eat you won’t be given them. A quality fish and chip shop. Flounders are the best chippy I have ever been too and go very often and and have the best chicken nuggets in the world. Flounders is the very very best!